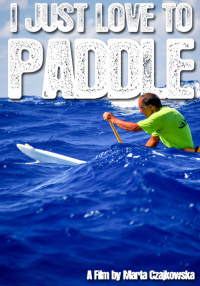 A multi award winning documentary film following a journey through the Ecuadorian rainforest in a self-made dugout canoe. The film explores the Amazon beyond the adventure, documenting the lives of both the people and the wildlife who rely on the forest for survival. Ben and James have been on several adventures together, from pulling a sofa across southern England to swimming the length of a knee deep river in Dorset. Making films about their trips has become a part of the journey. They wanted to build on these journeys in their latest project but also make something about more than themselves - to capture the beauty of the landscape, the people and the wildlife they encountered would have to be more important than any distance or number of miles they could travel. It was with this in mind that they came up with the idea of DugOut, an idea as simple as the name suggests: they would travel to the Ecuadorian Amazon, live with an indigenous community, learn from them how to build a canoe, then take that canoe on a journey. 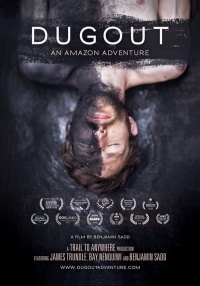 The film covers the two month trip, documenting their time in the Huaorani community as they built a dugout canoe, then the journey downstream through Ecuador's Yasuni region - one of the most biodiverse areas of the world.